Gifts received online or postmarked by 12/31/18 receive a 2018 tax receipt. Because of YOU and the support of those like you, Cornerstones is able to help more than 15,000 neighbors each year who are in need of housing, childcare, food or financial assistance. Your support of our Cornerstones to a Connected Community Annual Appeal enables us to help families like Elhamy’s, who along with his wife and two sons, fled Egypt to the United States after Elhamy received traumatic injuries and faced incredible challenges following a terrorist attack. Elhamy has an accounting degree and two Masters’ degrees from his home country, but his education and experience did not transfer well to the U.S. 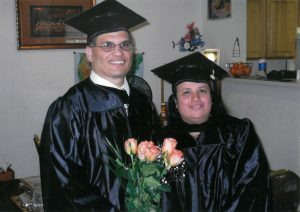 While working with Cornerstones, Elhamy and his wife received medical assistance, education support and employment guidance, and their family became U. S. citizens. The assistance and support they received enabled them to save enough money to purchase their first home. Truly a dream come true for this family! 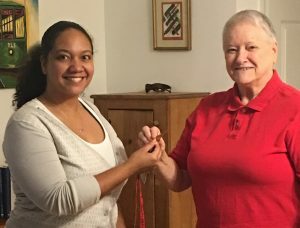 Cornerstones reached a milestone two years ago when we doubled our stock of local, affordable housing, totaling 105 homes for low income families and individuals, including homes designated for formerly homeless veterans and seniors like Elethia, who after several months of homelessness, is now secure in Cornerstones’ housing. She receives ongoing care management to help her with budgeting and savings, and programs to keep her mind healthy and alert. Your gift is extremely important because we’ll need to continue to grow our housing inventory and support to meet the projected 3,000 new households with extremely low- and very low incomes who will be working and living in the greater Reston-Herndon area over the next 15 years. Because of YOU & YOUR GIFT to Cornerstones, thousands of individuals and families we support each year – individuals like Elethia and families like Elhamy’s – will have hope for a future that may have otherwise been out of reach.